Music has been distributed through various medium and recently due to Econet’s innovative Whatsapp bundle we now have tracks sent to us via Whatsapp. Some artists have resorted to not uploading their music but solely distributing it through Whatsapp. 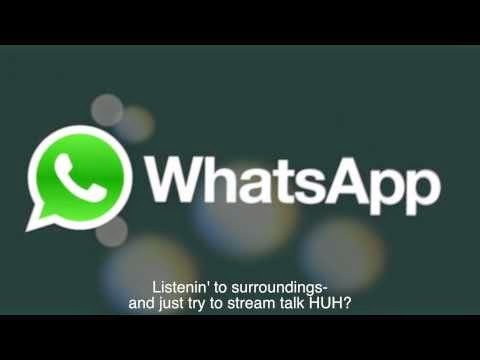 Is Whatsapp really a good sole medium for music distribution? As much as you may defend your efforts I think that you are selling both you and your music short. What of the potential fans who do not see your status update with your Whatsapp number? Is that not discrimination of some sort? Some of our neighbouring countries do not even have the liberty of Whatsapp bundles like we do. Can’t you spare a dollar to invest in your music and get into an internet café and upload your music? Whatsapp also has this unruly element of compressing mp3s into 1.5mb files. Those audiophiles like me will find listening to such quality torture for the eardrums. I don’t want to listen to a song like I’m listening to it underwater, I want to enjoy the full dynamic range that the producer intended to be heard when mastering, which cannot be found in the compressed file. For those of us with expensive hardware we tend to play our music loud and wouldn’t want to sound like we’re playing a “Palito”. You are even tempted to conclude that it’s bad mastering. You still think Whatsapp distribution is a good idea? Getting a 100 downloads on Whatsapp is a mammoth task as you will be continuously forwarding tracks. There’s also the risk of a track getting lost, yes the Whatsapp bundle plays havoc on our device memory so it has now become a chore to regularly empty our Whatsapp folder. Having to scavenge through similarly named audio files is a bore and after two or three unsuccessful tries one ends up deleting all the files. So you’re telling me you are ALWAYS online? Whatsapp is an instant messaging platform where people expect immediate responses. And from what consumer practices teaches us is that the customer is king, so the musician is now the slave right trapped by his Whatsapp? I will app you and you will be out of credit and I will go to my Facebook and vent to my friends about your unreliability and just like that your music’s buzz is DEAD, without even being played. Careful of what you wish for.